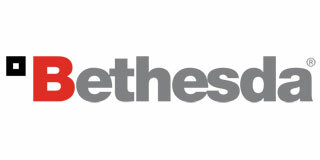 Earlier this week, Bethesda announced that it will implement a new policy regarding review copies for all the games they publish in the future. In short, all outlets will be getting review copies of Bethesda's games the day before launch. Bethesda says that this is because it wants "everyone, including those in the media, to experience our games at the same time," but make no mistake, this is a bad thing for both the media, and the gamers it serves. Part of the rationale explained in the blog post by global content lead Gary Steinman is that when the company held review copies of DOOM until the day before launch earlier this year, it led to "speculation about the quality of the game." The thing is, there's a valid reason for that speculation. Over the years, we've seen some games that didn't offer early review copies end up being less than great. In fact, the withholding of review copies was often a tactic used to keep early reviews from driving down sales. But that wasn't the case with DOOM. As Bethesda's post notes, it turned out to be a "critical and commercial hit." While that's certainly true, the quality of a past game is no indication of similar quality in future releases - especially those from different developers. More importantly, the fact that one particular game turned out to be good despite withholding review copies doesn't negate the fact that the withholding of review copies has been one indicator of a game that might not live up to the hype. Of course we've also seen late review copies of incredible games - DOOM isn't the first time it's happened. Obviously, Bethesda has studied the numbers that they have, and concluded that the best business decision is to keep their review copies close. From a business perspective, it's hard to argue with them. It's likely that Bethesda is one of those companies that don't need reviews for their games to sell well, and so the only thing that reviews could do is hurt them in the grand scheme of things. There's also the question of how much traditional reviews even matter these days when so many people look to YouTube videos or Twitch streams for opinions on games. But despite the value of the reviews, or the effect they have on sales, it's hard to see this as anything but a negative for consumers. While Bethesda says that they "value media reviews," and that they "understand their value to our players," it's hard to reconcile that with the idea that in most cases, gamers will be forced to choose between pre-ordering (or buying on launch day) or having the benefit of critical reviews. Bethesda says that it does "understand that some of you want to read reviews before you make your decision, and if that's the case we encourage you to wait for your favorite reviewers to share their thoughts." Of course, the company isn't doing away with any of its pre-order bonuses, and in the case of Dishonored 2 waiting for reviews will costs you a free copy of Dishonored: Definitive Edition (including its soundtrack), and bunch of in-game items, and access to the game one day early. It seems that while Bethesda may say that it encourages players to wait for reviews if they so desire, it wants to make sure that you're strongly encouraged to pre-order anyway. After all, it's in the business of selling games, and most anything that helps do that is fair play. It's important to note that while I may disagree with Bethesda's new policy, I certainly recognize that they have the right to do whatever they want with the games they publish. After all, no one has a right to receive early code to a game, regardless of what their job might be. I'm also glad that Bethesda has stepped up and made this statement public, rather than just withholding copies and keeping quiet. There are plenty of companies that have held copies until right at launch, and few are so open about the policy. Kudos to Bethesda for being up front about it. That being said, gamers have been burned on several occasions before by bad games (though not necessarily from Bethesda) that didn't offer reviewers a chance to play the game early. Carefully controlled previews and presentations at events are no substitute for getting your hands on the final product, and this new policy will likely push most reviews at least a day or two past launch. Either that, or it will result in reviews being rushed, possibly missing key elements or bugs that would normally be noticed. The fact that nearly every game released these days gets a "Day One" patch does mute that particular concern a bit, but it only exacerbates the larger problem. None of this is to say that Bethesda's games will be bad, or that you should avoid buying anything from them. On the contrary, the company's offerings have been quite good of late, including this year's DOOM and the recent Wolfenstein games. However, it does mean that gamers should be wary of giving in to the temptation to pre-order any game, especially one for which you haven't seen any critical reviews. Pre-orders have always been inherently risky, with gamers giving up their money - sometimes months or even years in advance - for a game that they've only seen in carefully crafted trailers. This is why my personal advice is to avoid pre-ordering games in almost every case. For us at The Escapist, we'll do our best to bring you timely reviews, but we will not rush through games in an effort to be the first site to post a review. Instead, we'll focus on what we always do: getting a complete picture of a game, and telling you what we think about it in no uncertain terms.